Read the original online at Great Lakes Echo. 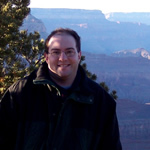 University of Notre Dame researcher Christopher Jerde. Photo: University of Notre Dame. Great Lakes researchers are using new DNA techniques to track down and control the spread of invasive species. The techniques are sort of like what you see on all those CSI television dramas where scientists analyze DNA left at the crime scene and use it to prosecute the culprits. Well, not quite. Fiction is faster, the scientists say. The researchers search for the DNA of an invader in the environment, or eDNA, with techniques that may be a boon for understanding how they enter the Great Lakes basin. For instance, researchers collect water samples for DNA analysis at streams and tributaries leading into the lakes, especially areas they believe Asian carp may be poised to invade. After evidence of carp was found beyond the Chicago Area Waterway System’s electric barrier in an earlier study, it signaled a larger issue: “The problem is nobody’s really looking for these things in other places,” Jerde said. Andrew Mahon loads DNA into a special gel for screening. Photo: University of Notre Dame. The good news is that after almost a thousand samples there are no positive tests of bighead or silver carp in southern Lake Michigan, other than the canal system, he said. Lake Erie sampling, however, did disclose such evidence. 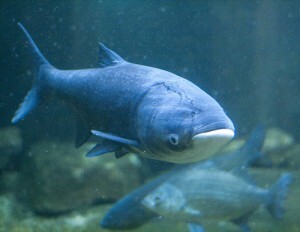 There have been at least three bighead carp that have been pulled out of Lake Erie, Jerde said. In another study, Central Michigan University researchers search for invasive pathways into Lake Erie from the Erie Canal corridor. That corridor spans the state of New York from Whitehall to Buffalo. Scientists are cataloguing non-native species in the Mohawk-Hudson River and Lake Champlain basins that have potential to spread into the corridor. A priority is to examine the range of snakehead, a voracious and highly competitive fish that could have dramatic effects on the Lake Erie ecosystem or even the Great Lakes at large, said Andrew Mahon, the study’s principal investigator. Central Michigan University researcher Andrew Mahon. Photo: Central Michigan University. But another goal is in examining the genetic technology itself by analyzing and comparing its use across other species, such as Asian clam and the aquatic plant hydrilla. “We know the eDNA works really well with fish, we’ve shown that with our Asian carp work,” said Mahon. “We know that if we go out and do ballast water surveys and try to compare that to the genetics, the genetics tends to work really well. Many of these studies, which are funded through the Great Lakes Restoration Initiative, aim to refine the already existing environmental DNA technology so that new techniques and applications can be made. 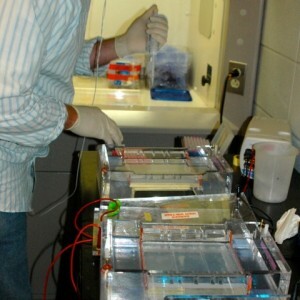 Environmental DNA is traditionally examined by taking water samples back to a lab. All living things (us and fish included) give off DNA to the surrounding environment in shed skin cells. First scientists filter a water sample and pull out the DNA from everything they’ve found, including bacteria, other fish and possibly the target species. 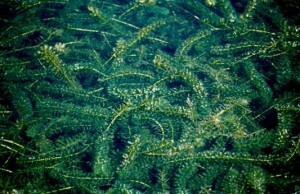 Hydrilla. Photo: U.S. Army Corps of Engineers. Then they identify a region of the DNA that is specific to the organism they’re looking for. They amplify it by making a lot of copies and then load the DNA into a special gel with a florescent dye. Scientists can now send the DNA into a sequencer that shows them all the chemical building blocks of that DNA. Those blocks can then be matched with the DNA of the target organism. “We joke that we often wish we could just plug something into our IPhones and drop it into the water and say ‘Yeah, there’s an app for that,’ that tells you there’s a species there,” Jerde said. We may even be five years away from just that kind of technology, he said. In fact, some of the studies funded by the initiative may help real researchers rival their fictional television counterparts. Scott Egan is leading another Notre Dame study to explore making the technology portable and relatively real-time. Syed Hashsham, a researcher at Michigan State University, is conducting a similar study. Portability is important. It may allow scientists to conduct field tests without hauling thousands of gallons back to a laboratory, Hashsham said. “You could take (a lot) of water, concentrate it and send it to some centralized facility for analysis but then it becomes an issue of how many locations you want to analyze, how do you transport that concentrated water and other things,” he said. The device his team is developing for the field is made to take out a lot of these and other processes, he said. All of these measures save time, which is vital in the race against invasive species. “If we catch them early, only then do the control mechanisms have any hope of eliminating them or controlling them,” he said.